Svetruck Service and Spare Parts distributions centre is available 24/7 world wide, through out our subsidiaries, dealers and agents. Our skilled and competent service staff and engineers supplies our customers with efficient and prompt service at highest quality. We provide the customers prompt needs through our experienced and knowledged spare parts department. 55000 original Svetruck Spare Parts waiting for you in our main warehouse in Ljungby, Sweden. You can always trust a Svetruck. Our commitment and support goes further. 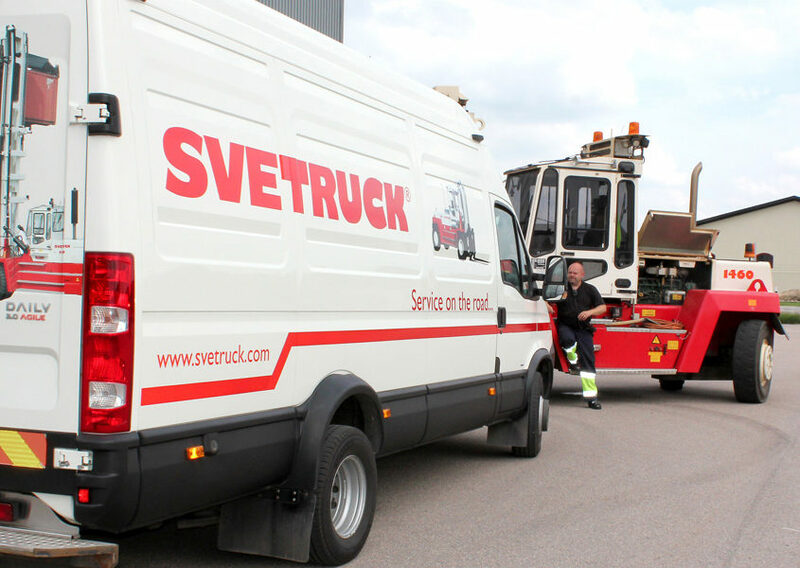 We control the strength of a Svetruck, customized for your needs with our expertise.